Zinc plated mild steel screws with a countersink Phillips head. Countersunk Phillips Machine Screw M6 x 40 (25 Pack) is rated 4.9 out of 5 by 9. 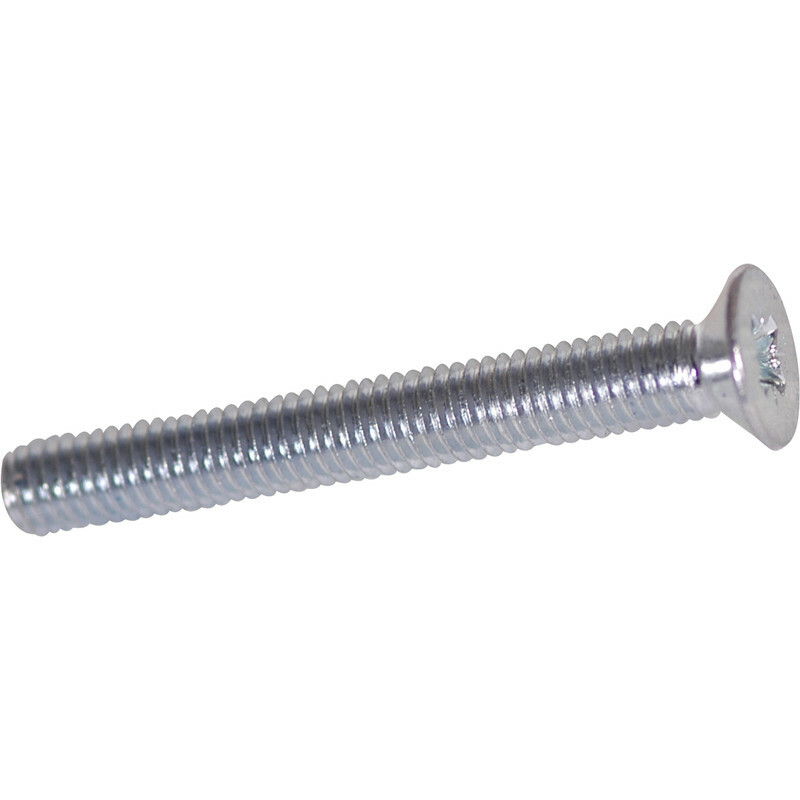 Rated 5 out of 5 by Anonymous from M6 x 50mm brilliant product as I was building a sofa @ Luton University & manufacturer sent wrong bolts. Toolstation got me out of trouble.. Rated 4 out of 5 by Mad mart from handle +machine screws I would like to thank your staff Member at Catford Gorgina for helping me to get my order correct it was ordered but did not come in she was able to get it sorted out. Many Thanks Gorgina. Rated 5 out of 5 by Rustic from Fantastic if too long you can cut them down. I bought them too long, as I knew I could hacksaw off the excess.